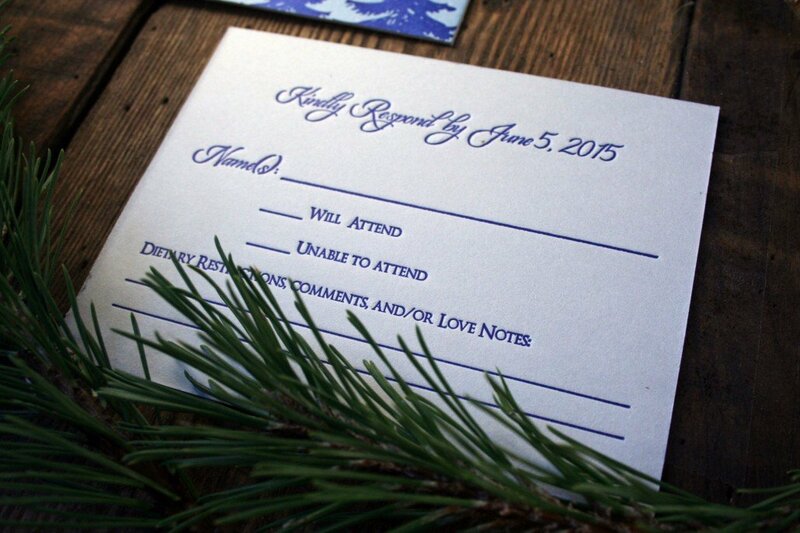 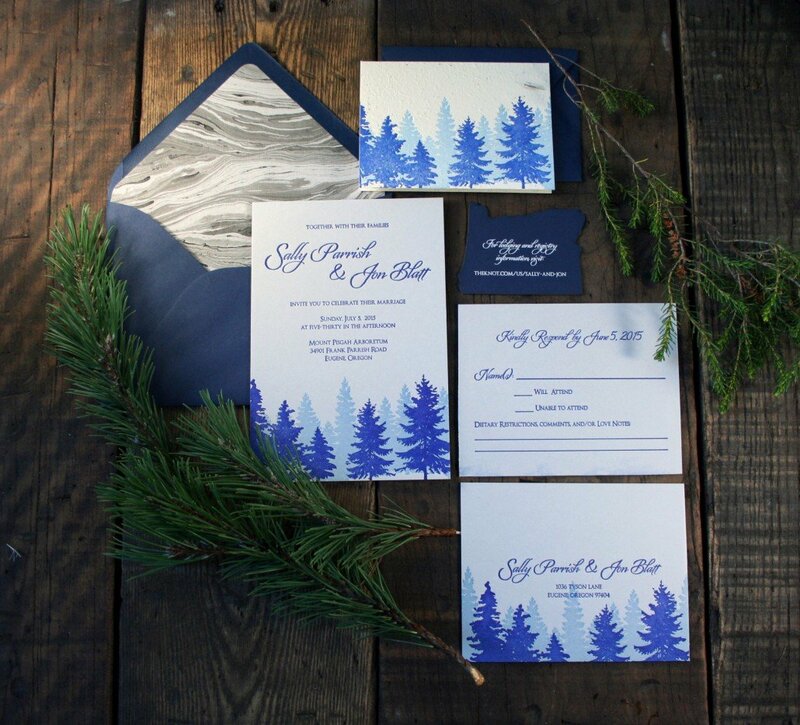 Into The Woods is perfect for an outdoor wedding with chic, natural touches. 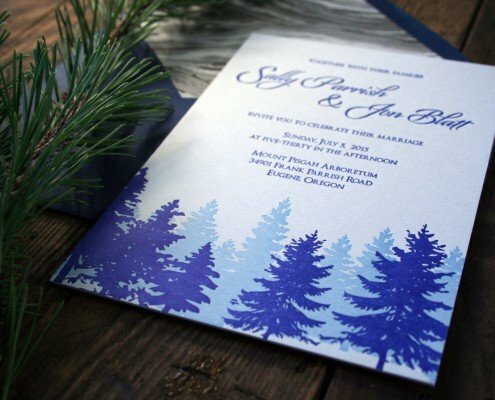 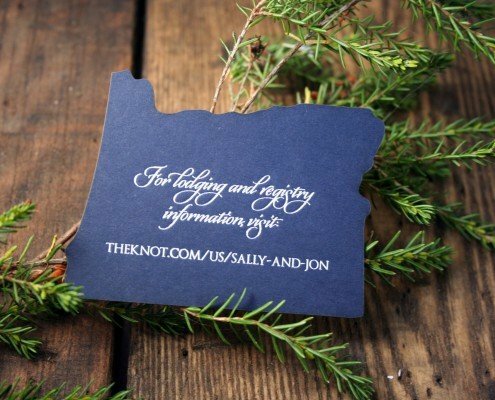 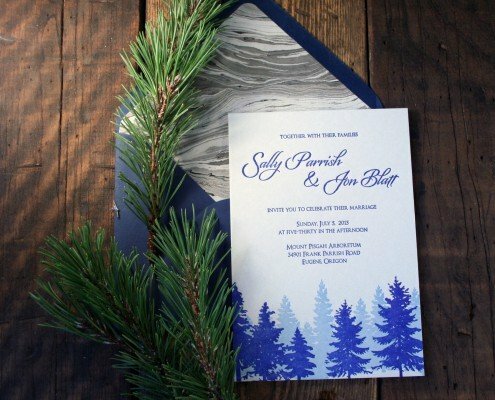 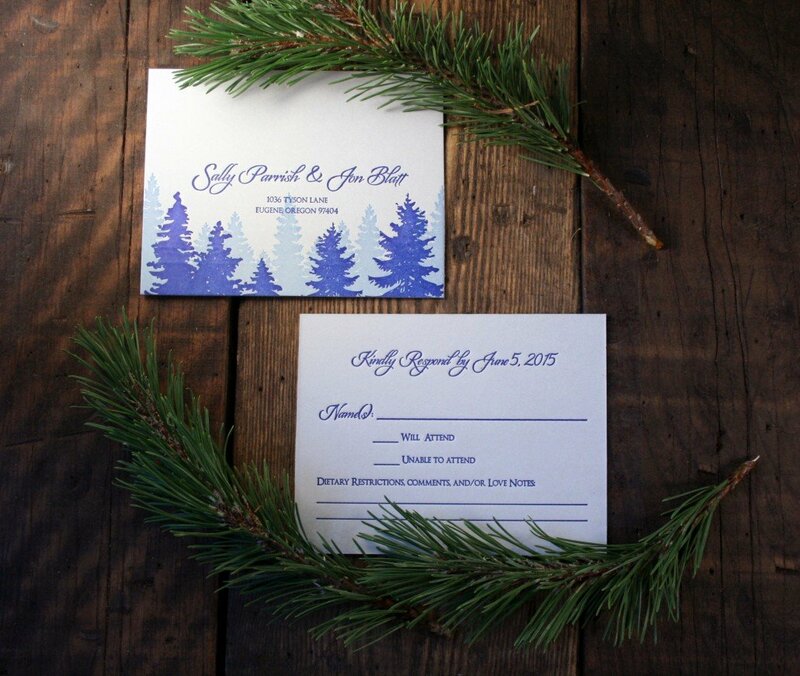 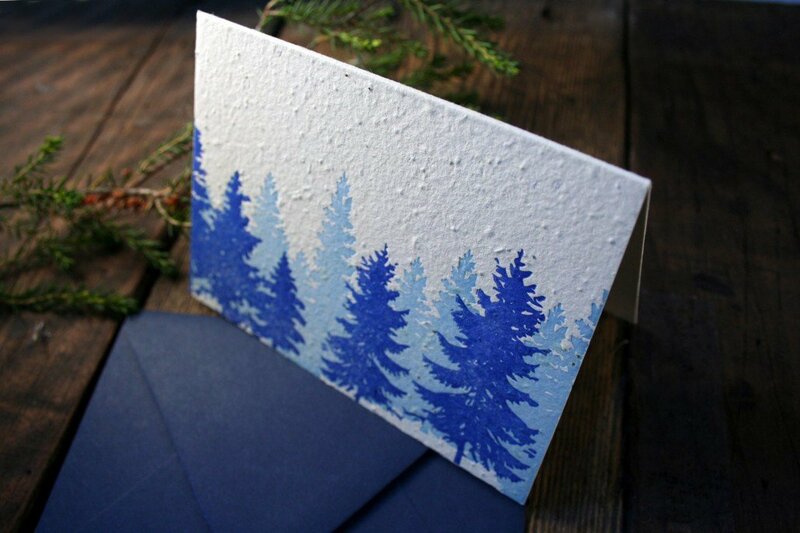 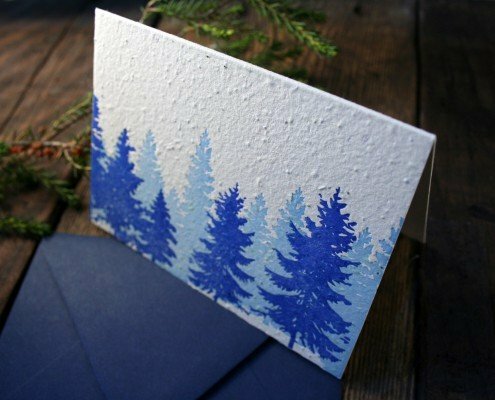 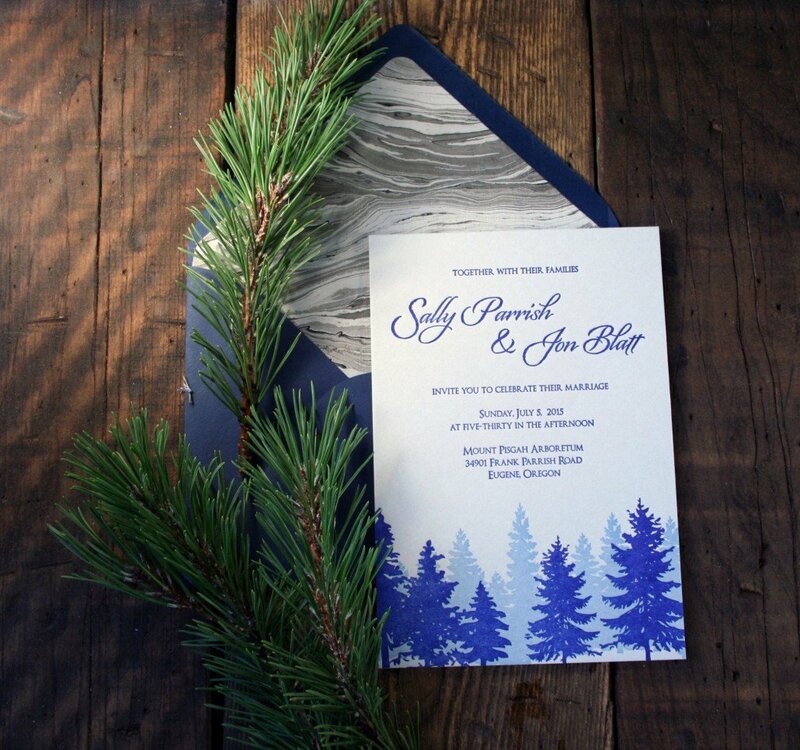 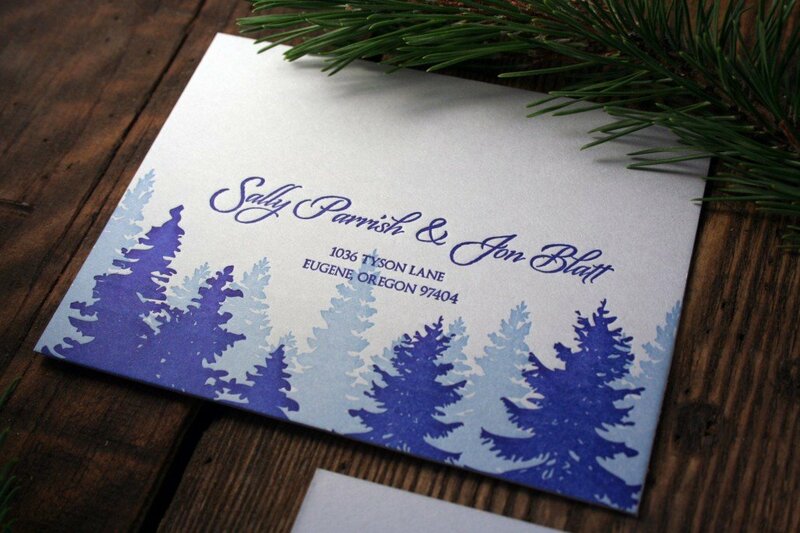 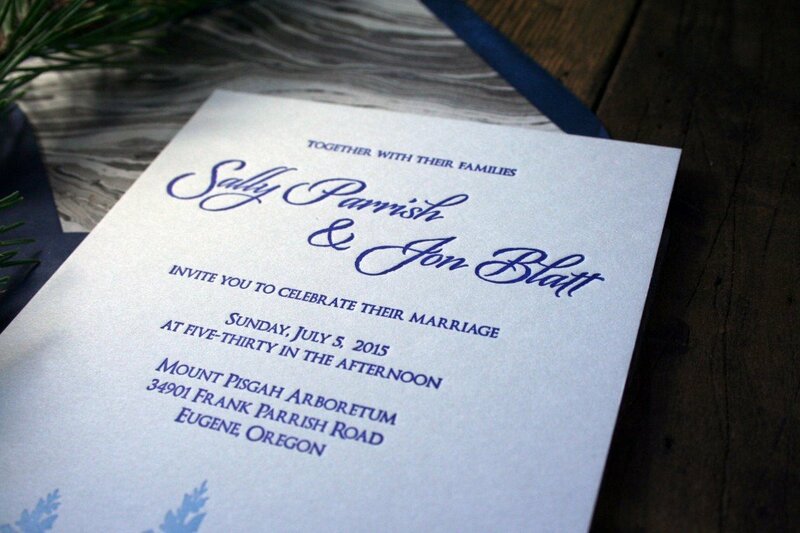 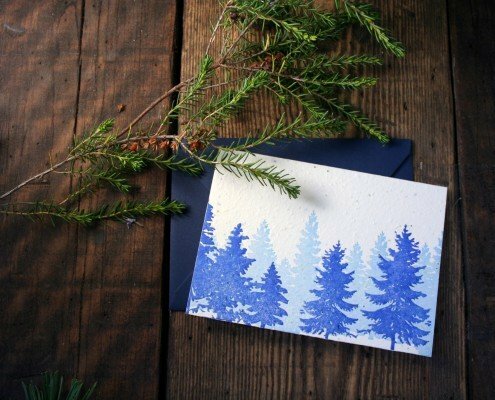 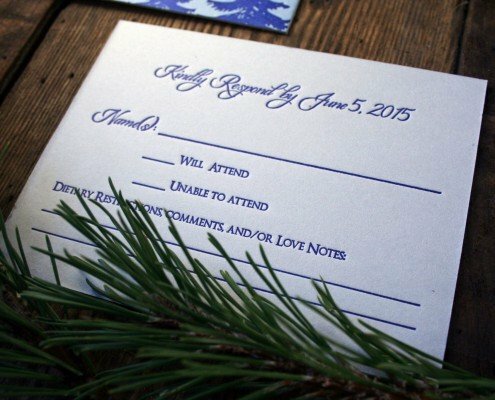 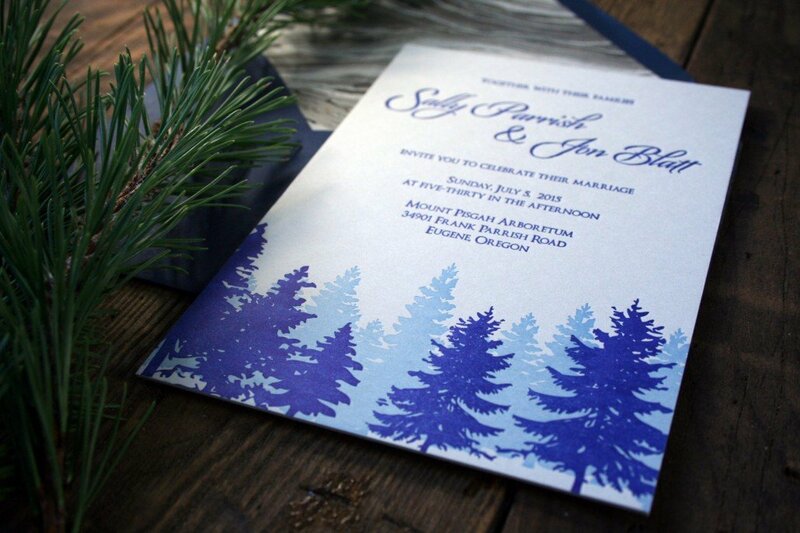 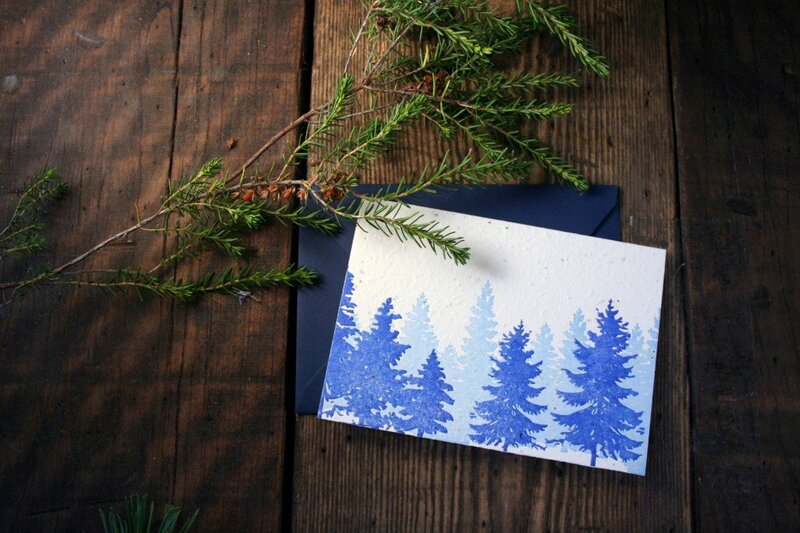 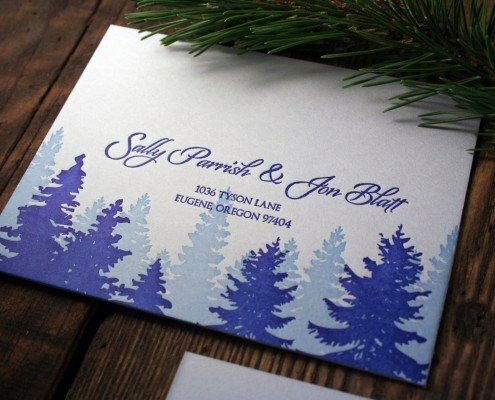 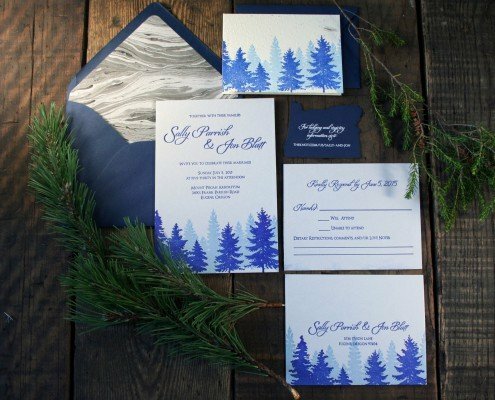 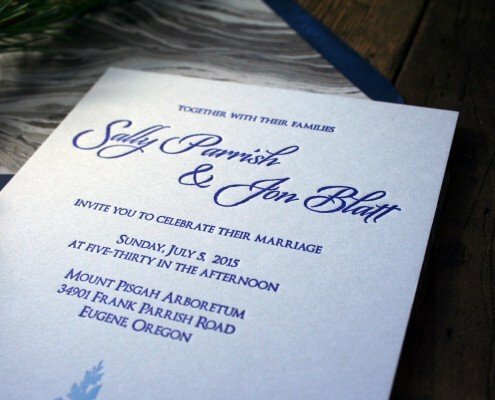 Inspired by the amazing conifer forests of the Pacific Northwest, these rustic wedding invitations are right at home in the great outdoors. 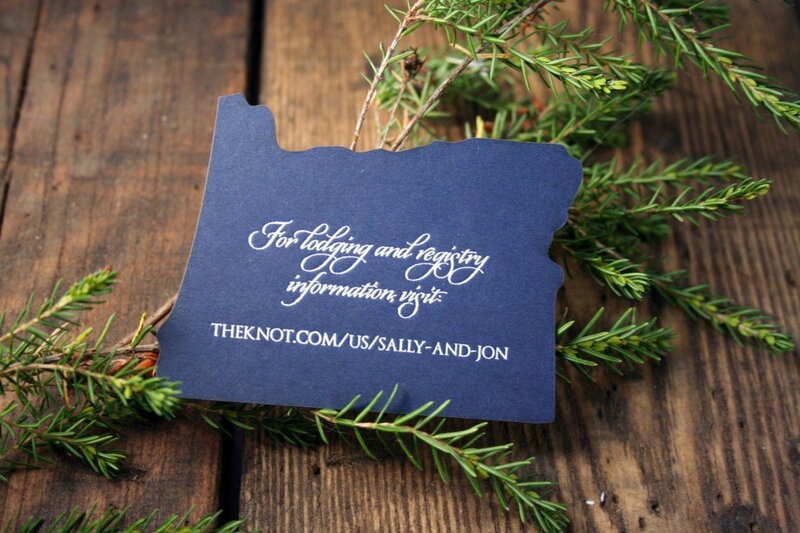 Custom laser-cutting for website card available in all US States and multiple other shapes!